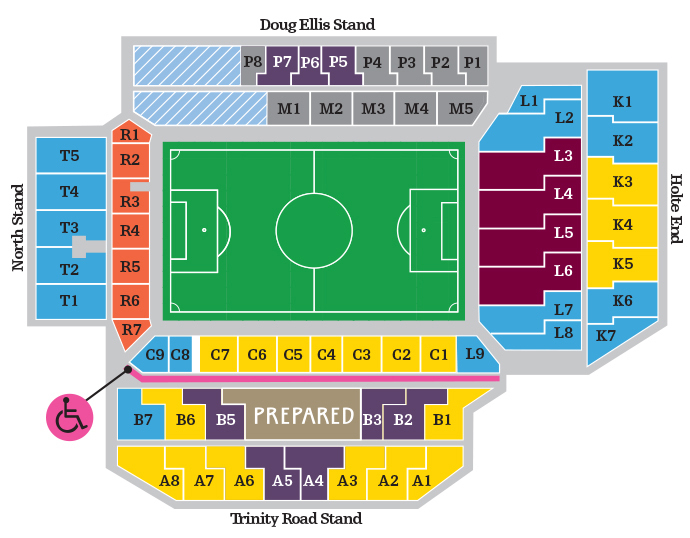 The Holte End is one of the four stands at Villa Park, the other 3 being Trinity Road Stand, Doug Ellis Stand and the North Stand. 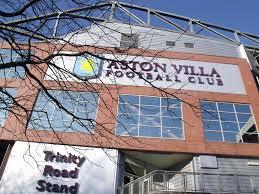 The Stand gets its name from Sir Thomas Holte the owner of Aston Hall. In 1939 redevelopment began in the Holte End extending it and increasing the capacity. The redevelopment didn`t stop at the outbreak of the second world war when most construction projects across the UK ceased, there is no documented history how this was achieved but the new improved Holte End was completed in April 1940, but it was then used for its war times functions that included air raid shelters, ammunition stores and barracks for the 9th battalion Royal Warwickshire Regiment. During the 1962 summer, more work was carried out on the roof of the Holte End costing £40,000, the work covered the Villa Park terrace`s, the following year the Witton Lane stand roof was replaced to match the Holte End. After the Hillsborough disaster there was a review of British stadiums and all league one clubs had to be altered becoming all seater stadiums. A structural survey of the Holte End revealed that it was not economical putting seats into the existing terraces, so the stand was demolished and replaced with a new all seater Holte End, on completion the Holte was the biggest stand in the UK. The Spaniard Miguel Ángel Portugal appointed by Bolivia`s Football Federation as the new national coach. His first opponent in the World Cup qualifiers for the 2018 World Cup in Russia is on 9 October Uruguay . The last time Bolivia was in the World Cup was in 1994 were they lost the opening match against Germany 0:. 1Portugal, who has trained the Bolivian club Bolivar, replacing Mauricio Soria , who had been dismissed by differences in the Copa America. The Bolivian football is in a deep crisis, federation chief Carlos Chávez and other officials were arrested on corruption charges. 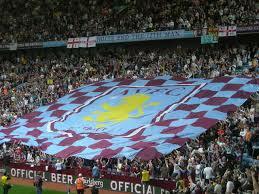 Who is going to be the new owner of AVFC in the future.